Filed to: What is crimson?Filed to: What is crimson? 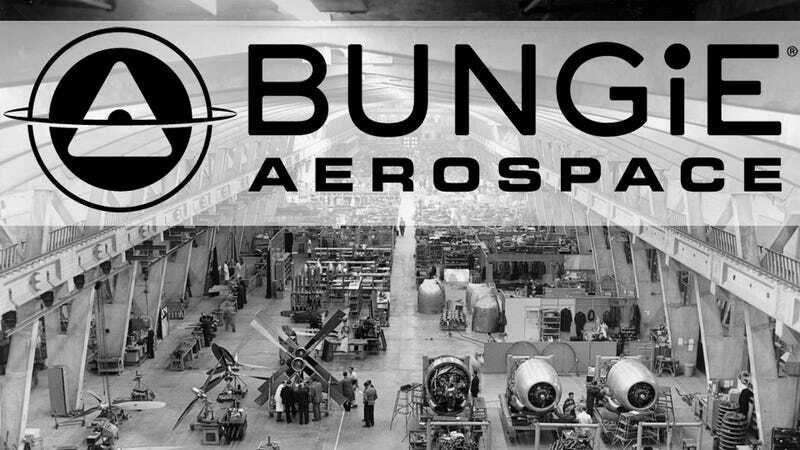 While most of Bungie Studios is laboring on the next big thing to follow Halo, a small portion of the company is launching something called Bungie Aerospace. It's not a game or a tech platform. It's a plan, an initiative to partner with small developers to help them make mobile and social games—and to let those in the Bungie.net community know about some Bungie-approved games worth playing, including the next game from one of the creators of beloved Xbox flight combat game Crimson Skies. The Bungie Aerospace initiative is a strategy for Bungie to help fund, test or simply publicize promising indie games. "We're excited to have this small, focused effort to work with some great game development talent," Bungie chief operating officer Pete Parsons told Kotaku in a phone interview. "All of them are very, very talented, very, very passionate and excited to bring their games to life. We're going to help them do that along the way." Bungie is already working with multiple teams on multiple games. The first, which Bungie is helping fund, is an iOS and Android game from Harebrained Schemes, a small development team led by Jordan Weisman, a former Bungie neighbor who was creative director at Xbox when Halo launched and who helped create the alternate reality game I Love Bees to help promote the release of Halo 2. The Weisman team's game, which comes out this summer, is code-named Crimson. Bungie and Weisman don't want to show off Crimson just yet, so they're being playful about that code-name. "It doesn't have the word Skies after it [in the title,]" Weisman told Kotaku. "It's not set in that universe. There is no continuity with Crimson Skies. Hopefully if people are familiar with my work in the past, maybe they'll relate that it has a similar, lighthearted, fun approach to its universe. But it is a different universe with different types of vehicles and so-on." So can we rule in or out that it's a flight combat game? "You can play it on an airplane," Bungie community manager Eric Osborne said. As coy as Bungie is being about Crimson now, one of the main points of Bungie Aerospace will be to tell a huge community of gamers exactly what Weisman's and other Aerospace games are. While Bungie is preparing to give developers access to funding and to the studio's expertise in stat-tracking, leaderboards and other platform-agnostic systems, Bungie also wants to give game creators and gamers a forum to connect: Bungie.net. "There's a huge community of ravenous loyal gamers who listen to us," Osborne said, referring to the legion of users of the Bungie.net website. "If we showcase a game into a public space, just like with Bungie Mobile [a Bungie iOS app released last week], we're able to launch something to a really large audience, to get them to check it out. For mobile developers on an App store or other product markets, getting the game noticed can be difficult." Weisman described Aerospace as something a little more like a relationship with a game publisher, though he said that he, the developer in this scenario, feels more like a partner. Osborne describes it more colorfully: "We want to give them some of our proprietary rocket fuel, whether that be resources, audience, funding or what have you and let them showcase their great games." Despite the overarching Aersopace name for this initiative there also won't be any mandates to use Bungie's stat-tracking services or other tech infrastructure. Bungie Aersopace isn't a new Open Feint, a new Game Center, or a new Steamworks. And regardless of Bungie's focus on Halo first-person shooters for the past decade, the Aerospace effort won't strictly work with the kinds of games people would stereotypically associate with a Halo crowd. It won't be just for shooters, just for action games or anything else so narrowly tailored. "There isn't a checklist I could give you about: ‘These are the three things we're looking for,'" Osborne said. "It really is about finding teams that we believe are passionate about making games. That may sound like a naive, optimistic approach, but, when it comes down to it, that's what makes a game great: the people who are building it. If we believe in them and see the experience they are building is something that would resonate with us, that's a pretty good metric to think that maybe we should be working with these guys." Bungie plans to reveal more information about Harebrained Schemes' Crimson in the coming weeks. Look to Bungie.net and the Bungie Aerospace site for more information. And don't mind the distraction. Said Parsons of his Bungie team: "The vast majority is focused on our next universe." He's referring to Bungie's big mystery game from Activision. They're not talking about that now—probably wouldn't even say if we could play that on a plane.